Disney’s Boardwalk Inn is one of my favorite places to stay on Walt Disney World property. Not only is it a great deluxe resort with all the amenities you expect, but it also offers one of the best (if not THE BEST) locations in all of Disney World. 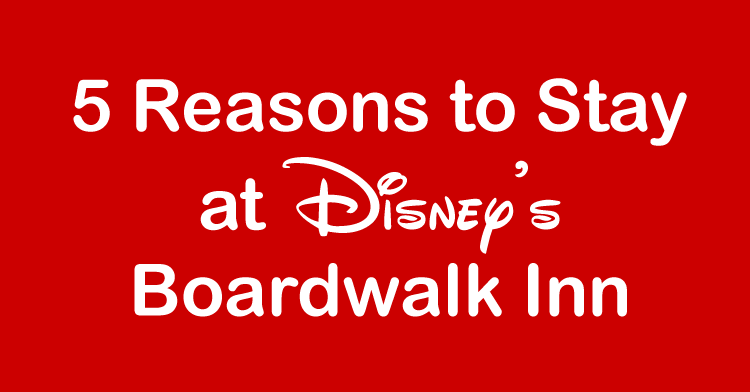 I have quite a few reasons why I love to stay at the Boardwalk Inn, but in order to try to convince you, here are 5 reasons to stay at Disney’s Boardwalk Inn. The Boardwalk – Located right below your window (if you are lucky), or just outside your room is Disney’s famous Boardwalk area. The boardwalk is full of great restaurants, street performers, ice cream shops and surrey bikes. If you are looking for a place to stretch your legs, have a great dinner or entertain the kids before bedtime, there really isn’t anywhere as fun or special as the Boardwalk. Boardwalk Inn Garden Suites – Without a doubt, Disney’s Boardwalk Inn features the most romantic rooms on Disney property. Well, the new bungalows at Polynesian Village may rival them, but then again, the bungalows are about 3 times the cost, so they should be completely awesome. The garden suites feature their own little white picket fence, english garden and outside entrance. Inside the suites you have a huge living rooms and separate kitchenette plus a loft master bedroom. Plus, you get access to the Boardwalk Inn concierge lounge too! Epcot and Disney’s Hollywood Studios – Easy access to theme parks is important to me when choosing a Disney resort. Now, I don’t mind riding the bus from time to time, but I don’t like to be 100% dependent upon the Disney transportation system to get me to my theme park. 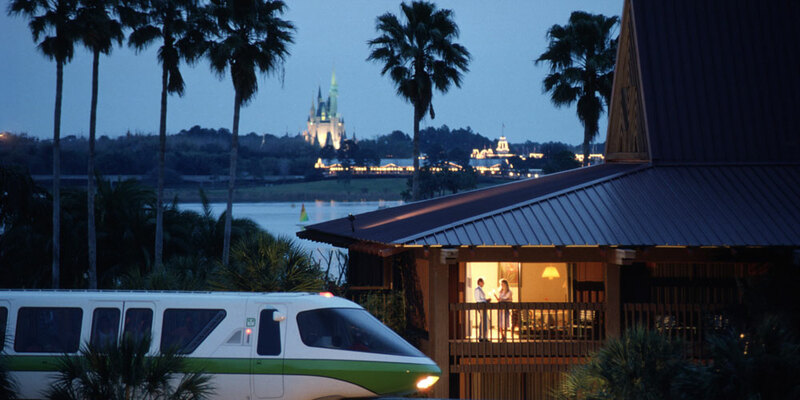 When staying at Disney’s Boardwalk Inn, you are literally minutes away from 2 Disney theme parks. Epcot is a short walk away, maybe 5 minutes if you walk quickly. You also enter through the International Gateway that drops you into the World Showcase between Great Britain and France. Early in the morning, this area is deserted and a great way to see the park without all the crowds as you make your way to Future World. Or imagine watching Illuminations! with your family, knowing you have just a short walk home to your comfy beds rather than having to walk to the front of Ecpot, wait through the lines for a bus and make your way to your room. That is a wonderful feeling. Disney’s Hollywood Studios is a little further away, you can walk it in about 20 – 30 minutes, or you can take one of the friendship boats that make the trek from Epcot to Hollywood Studios, with stops at the resorts on the way. Really hard to beat this location for park access. Restaurants and more restaurants – If you want some place to stay on Disney property that offers you plenty of dining options, you can’t be the Boardwalk Inn. You have instant access to all the restaurants on the Boardwalk (Flying Fish, ESPN, Big River Grille and Trattoria al Forno), plus a short walk gives you access to the restaurants in the Beach and Yacht Club as well as the Swan and Dolphin resorts. Plus, if you feel like a slightly longer walk, you have access to all the restaurants in the World Showcase area of Epcot. Without doing the math, you have access to probably 20 restaurants within a few minutes of your room. Not even Disney Springs offers that. Plus, there is a ice cream parlor right on the boardwalk (Ample Hills Creamery) as well as the BoardWalk Bakery to satisfy your sweet tooth. Swimming Pools – Yes, that is right, multiple pools. And not just boring square quiet pools either, but two awesome pools, one located at the Boardwalk Inn and a even more fun/creepy pool next door at Disney’s Boardwalk Villas. The leisure pool at Disney’s Boardwalk Inn is beautiful, and rarely busy, a great place for a quick dip or to relax pool side. The star of the resort is the Luna Park Pool, located on the other side of the resort. The Luna Park Pool features a 200+ foot long water slide where you exit the slide into the pool via a giant clown’s mouth, which creeps a lot of people out for some reason. The pool is complete with other circus animals, a great bar and even a fantastic kids play area. If you are looking to relax or just have fun at the pool, the Boardwalk Inn covers all the bases. 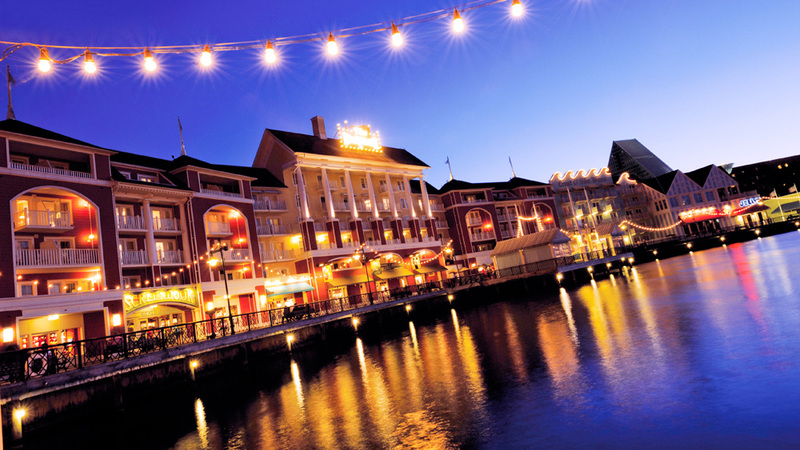 Why do you love staying at Disney’s Boardwalk Inn?